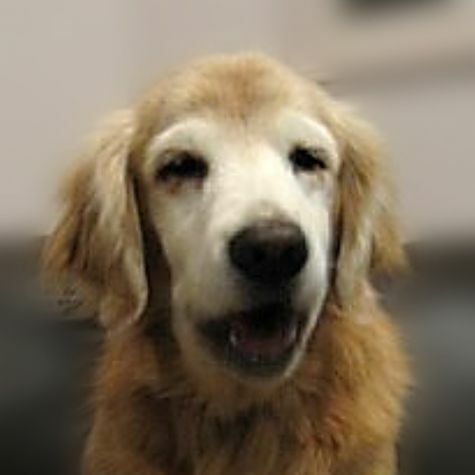 A golden retriever with lots of gray fur, Del Rio joined the Love on 4 Paws program in 2001. A former service dog in training, her innate love of chasing birds necessitated her change of career. She will work for food, ANY FOOD! She is almost always smiling, unless she is forced to wear a costume she feels is demeaning to dogs.